The Orion spacecraft is kind of small, so how will NASA astronauts live comfortably on the way to Mars? What will they eat? And what are the contigency plans if something were to go wrong, a la, “The Martian”? NASA Public Affairs Officer Jim Wilson answers these questions and more on today’s episode. Jim is an authority on all things Journey To Mars and was happy to give us all the up-to-date information on the current status of the mission. 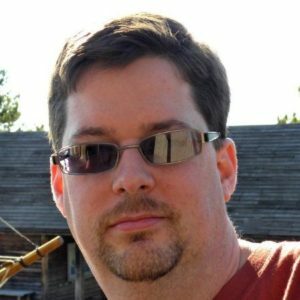 Today’s host is Ron Sparkman, creator of UpportunityU.com and a project manager with I Love Mars Media. Link to listen to our interview in iTunes: RPR 10 – NASA’s Jim Wilson. The show and its contents are presented by The Mars Society and co-procuded with I Love Mars Media. Find out more at www.MarsSociety.org and ILoveMars.Info. Sorry but we are never getting to Mars if we have to depend NASA’s constituency based, flying junk yard, cost plus, sort off, Mars program. If NASA ever gets serious, they can do a fixed price, milestones based, space act agreement with SpaceX for the development of the ITS.